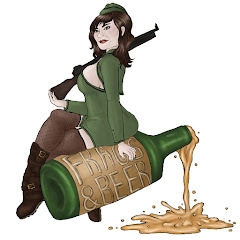 You Tube channel for videos, interviews, and related media under the Frags and Beer Network. This channel is associated with the Geekology Webzine fragsandbeer.com. We hope to provide interesting, engaging, and fun content for all your geek interests. If you are interested in being part of Frags and Beer Network head over to the website and see our submission and join our team pages. Copyright © 2019 Frags and Beer.